Explore the creative work we've done with past clients. Though saying typically goes: “Let’s think outside of the box,” why not think about the box itself? When someone receives a branded item and branded packaging as well, they will be surely remember where it came from! Stand out and be the one by designing custom packaging with the Clatter team! Custom YETI Cups? Sure! Custom packaging? Absolutely! Clatter Creative loved working on this project for DeVryWORKS. Our client was searching for the perfect team appreciation gift. When YETI Cups came to mind, our team was thrilled to get the process started. Our Clatter Creative team handled everything - custom package design, custom YETI design, fulfillment, and shipment to over fifty locations! Check it out! Take your tunes with you wherever you go! This U Wireless Speaker is “the world’s smallest speaker with the world’s best sound.” Easily branded with your company logo, this speaker is the perfect gift for employees and clients alike! Want to hear how it sounds? Stop by the Clatter office! Odds are pretty high that we we are playing some tunes! Wear your logo wherever you go! Socks can be dressed up in the workplace or can be worn with a cozy pair of pajamas at home. This pair designed for DeVryWORKS was the perfect giveaway gift at their military appreciation event! In need of some branded products to pair with a bottle of wine or a case of beer? Let the Clatter team find the perfect item for you! This project involved branding a Brookstone Compact Wine Opener and a bottle opener. In addition to opening a bottle of beer, the product could also be used as a coaster! These retail-value items are a great gift that recipients will love - and they are likely to use them over and over again! You’re familiar with the classic polaroid camera, right? Clatter Creative Promotions had the opportunity to work on a project for Fujifilm Instax! During their holiday tour, members of the Fujifilm team needed outfits to represent the company while advertising their new line of products. The Clatter team was asked to design t-shirts, hats, jackets, and bags for everyone to wear. Take a look at the final outfit that we designed! These fun and colorful cups were a perfect gift for our client. The 100% food-grade silicon cup is made by Silipint. Silipint inspires audible joy, sparks curiosity, and encourages resourcefulness through the simplicity of an unbreakable and reusable cup. The cup stands out on the shelf and is blast to drink from! This outside-of-the-box cup is a great way to make noise for your brand! Take a peek into this project for The Botanist Islay Dry Gin. We filled this beautiful box with a variety of creative gifts from custom candles to the perfect ingredients for your next cocktail. One of the highlights of this project was our ability to take one of The Botanist’s gin bottles and turn it into a candle. The top half of the bottle was cut off while the remaining half was filled with candle wax that was the scent of spearmint - one of the botanical’s used in The Botanist gin. 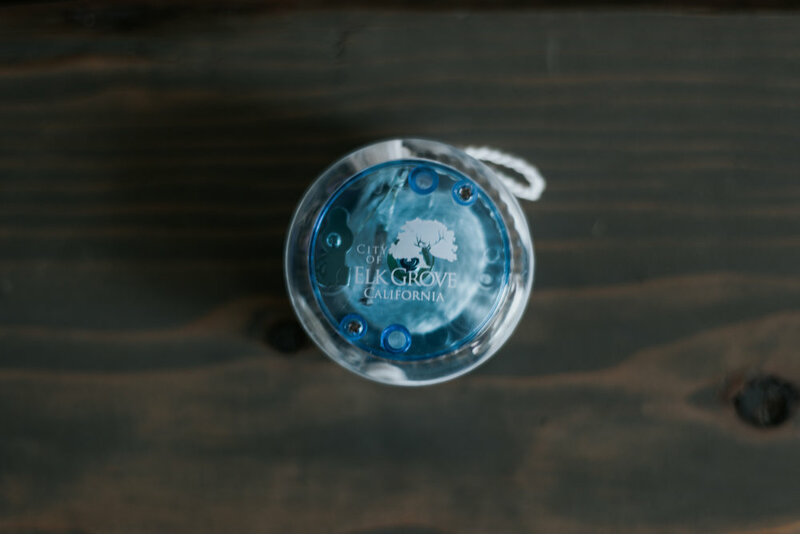 We included other custom items that leave lasting impressions such as a mug, lighter and a pin. When thinking of ways to get your brand out in public, you can’t go wrong with walking advertisements! Branded apparel is perfect for giveaways, trade shows, employee appreciation, and gifting! This classic T-shirt was designed for Sprite and features detailed design work on the back side. Are you starting to brainstorm some ideas for your very own company apparel? Let’s chat. Have clients take your brand with them wherever they go! When thinking of products that recipients are guaranteed to use, you can’t go wrong with travel accessories. These branded RuMe travel bags are perfect for all those tiny bottles of shampoo, toothpaste, and body wash! In addition to the travel bags, our team also branded a RuMe reusable tote for this client. This handy bag holds up to 50 pounds and easily folds up with a Velcro strap. Additionally, the bag is machine washable AND water-resistant. (Score!) It’s the perfect bag to store in your purse, your car and your backpack so that you always have a strong, convenient bag for those impromptu shopping trips! A tote bag is the perfect gift - especially for an event or conference! This client wanted to make sure that guests felt welcomed when they arrived at the WTAL Masterclass 2018. This classic tote was filled with tons of little goodies - a journal, a book, a bracelet, and even JBL headphones! Now that’s what we call a warm welcome! The holidays are the perfect time to celebrate your employees, clients, and company! Our Clatter team loved listening to holiday tunes while working on this custom project. Our client asked for packaging that would stand out when it arrived on the porch of the recipient. This custom box was designed by our team to capture the holiday cheer! As soon as the box was opened, it was overflowing with holiday goodies - a custom leather organizer, portable chargers, a hand written note, and Godiva chocolates, of course! As a finishing touch, we added pine needle garnish to complete the look! Check it out and start thinking about your next holiday gift! When guests left a five year anniversary party for this client, they were given a custom coffee mug as a thank you gift! Perfect for that morning cup of coffee or late night sleepy time tea! Take a look. This client was in need of a gift for a golf outing with a very quick turnaround. He requested a gift that would be practical for the golfers to use during the game. The client also wanted his company’s logo to stand out on the product. Clatter Creative worked efficiently to have these golf towels ready for tee time!